A rainbow burst of AWESOME is just what the Doctor ordered! Send a colorful splash of balloons and stars to cheer up a friend in need. This fantastic get well card will brighten anyone's mood. A sick friend deserves a lift, and sending a thoughtful greeting card is a good prescription for health! The bright balloons spell out "Get Well Soon" and a rainbow explosion of stars make this one terrific card to cheer up a friend. Do you know someone who is stuck at home because of a sickness? If so, send them a Get Well card to let them know you care! Flowers are always a sweet way to cheer someone up, so the beautiful blossoms on this card are the perfect way to make your friend or family member feel better. Use it to send good cheer today! It's always hard to stand by when a loved one is sick or hurting. 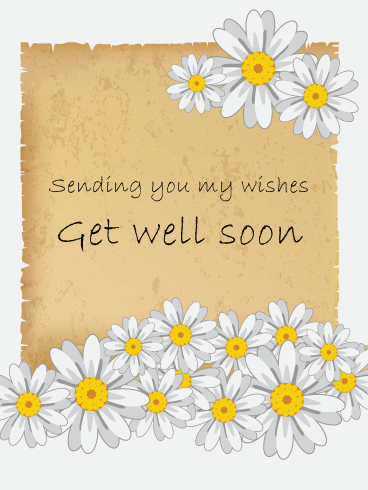 Instead of standing by or only thinking your well wishes, send your love through this Get Well card! The watercolor flowers and leaves will show your care in picking the perfect card and the sweet message will show you are thinking of them. 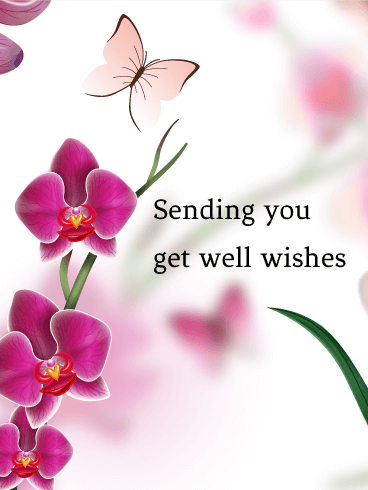 Send your well wishes with this Get Well card before the day is over! Everyone knows being sick can be painful, upsetting and uncomfortable. 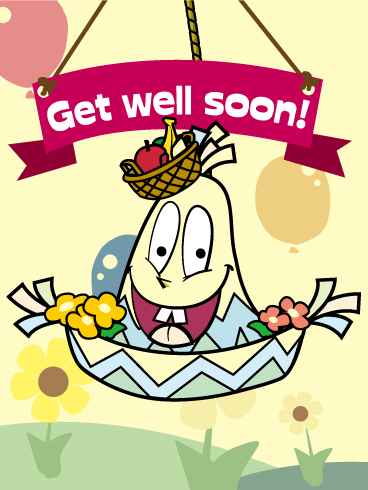 To show your sympathy to your friend or family member while they are sick, send them a sweet Get Well card! The beautiful orange and pink flowers add a lovely touch to your well wishes and let your loved ones know that you care. 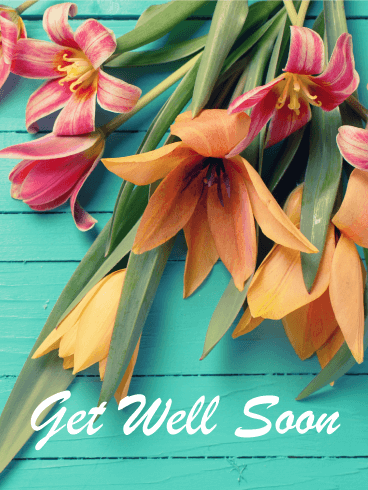 Let them know you are thinking about them by sending this Get Well card today! Being sick is no fun. 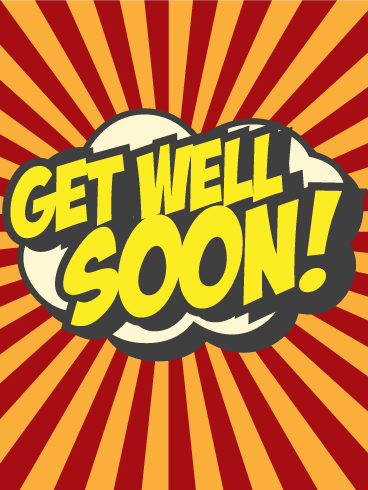 If you know someone who is feeling under the weather, send them a lovely Get Well card to help them feel better! Cute puppies always make things better, so send this puppy card bring a smile to their face. With this sweet Get Well card and wishes, they are sure to start feeling better in no time! Getting sick often makes you feel cold and achy - not to mention stuffy and tired! 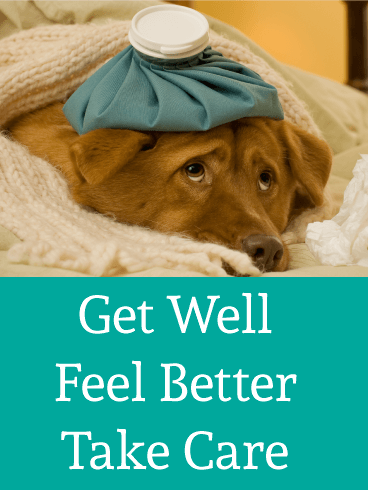 If you know someone who is sick, send them this Get Well card to help them feel better! 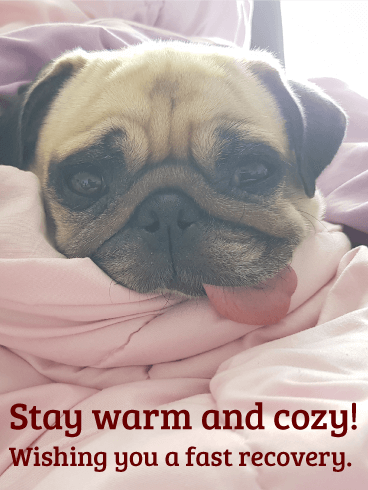 The adorable Pug on this Get Well card is snuggled up in warm blankets, the perfect remedy for a day spent sick in bed. Help your loved one feel warm and cozy with this cute card! 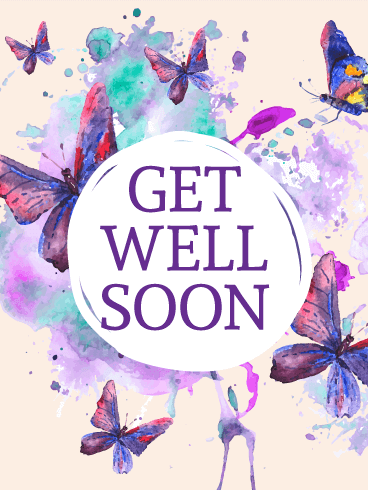 If you know someone who is feeling under the weather, send them this Get Well card to let them know you are thinking of them during their sickness. 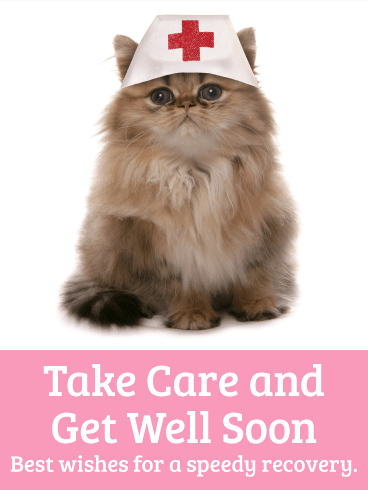 Laughter is the best medicine, so send a Get Well card that will cheer them up - like this Nurse Cat Get Well card! The silly picture will make them chuckle and the sweet message will let them know you care! 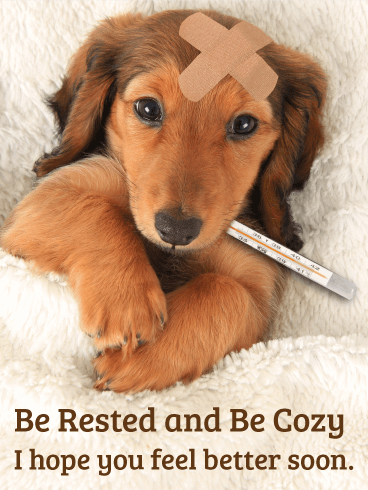 If one of your friends or family members has caught a cold or is feeling under the weather, send them a cute Get Well card to help them feel better! 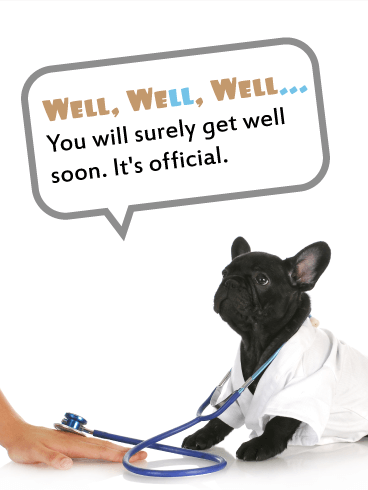 The message on this Get Well card will tell them you care and the sight of a dog with a hot water bottle will have them laughing at the silly picture and feeling better in no time! Laughter may be the best medicine, but smiles can help you feel better, too! 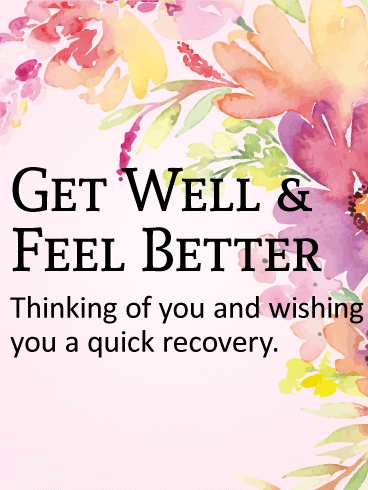 Use this Get Well card to lift the spirits of someone you know who is sick. 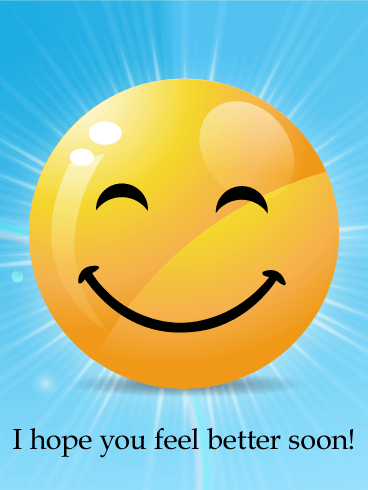 The large, bright yellow smiley face and blue background will bring a smile to their face and happiness to their heart. 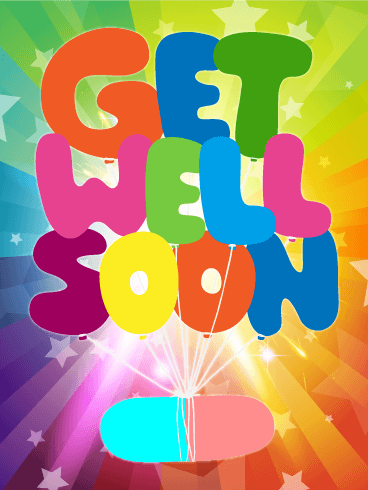 Use this card to send your love and "Get well!" wishes today! Don't let your loved ones feel alone when they're sick! Instead, send them a fun-filled Get Well card to make their day a little bit better. 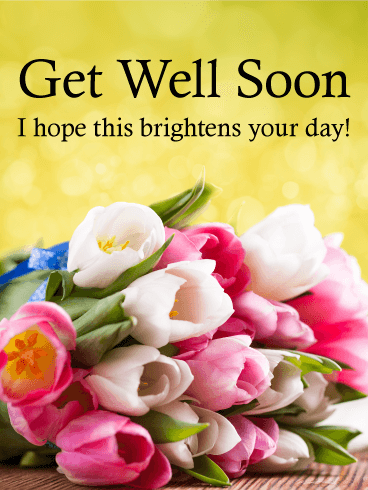 The bright colors and excited smiley face on this Get Well card will lighten their heart and bring a smile to their face - the very best medicine you can give! Don't let another minute go by without sending your Get Well wishes! Sick? Get well soon! Boom! Health is on its way with this awesome comic style get well card. Send it now to someone feeling down in the dumps with a cold or flu. Or send it to someone recovering in the hospital. Being sick is the worst, so make it better with a very fun, and very thoughtful get well greeting card. Flowers are a great way to send your well wishes to a loved one, but sometimes a fresh bouquet is impossible to send. 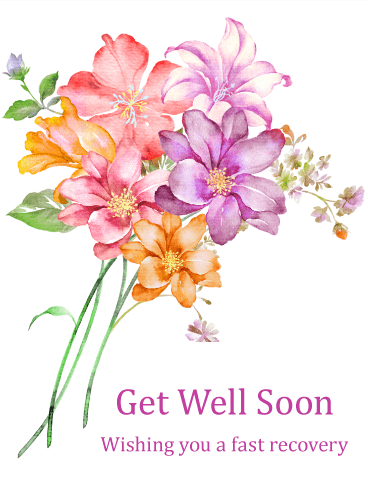 Instead, use the beautiful pink and white carnations on this Get Well card to send your love and wishes for a speedy recovery today! The kind words and touching imagery will let them know that you are thinking of them during this time of sickness. 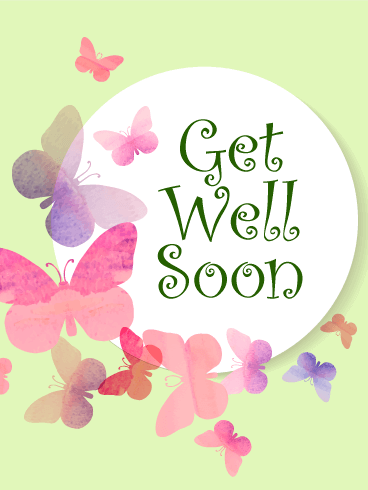 Sweet butterflies and a special message to get well soon make this a lovely greeting card to send your sick friend. The font is fresh and fun with its swirls, and the butterflies flutter and fly in a loop around the message. Every sick room needs a breath of fresh air, and this get well greeting card is just perfect. Precious blue flowers make everyone feel better! Nothing makes you feel more alone than being sick. 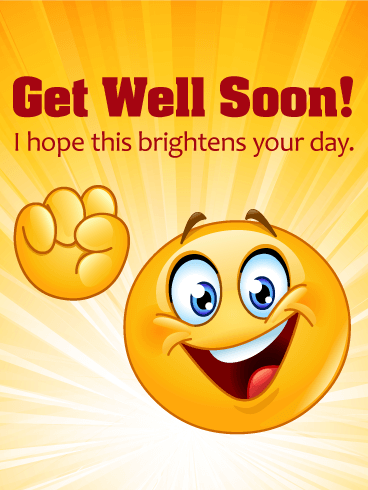 Reach out to a sick friend and send a thoughtful get well card with a short and sincere message to feel better soon. This pretty greeting card is just what they need to see. 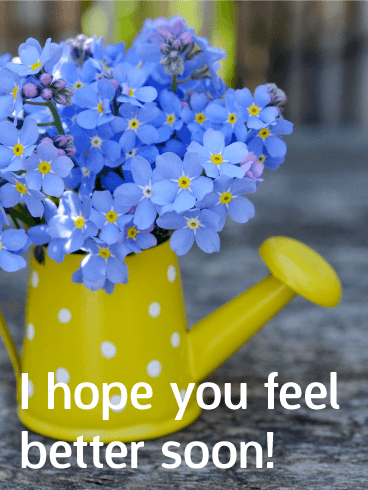 Encourage them to feel better with this cheerful photo of a polka-dotted, yellow watering can and fresh bunch of blue flowers. Band-Aids make it all better! Have you ever seen such a cute get well card? It's just the perfect way to show you care and let a sick friend know that you are thinking of them. Send this thoughtful get well card to help them feel better sooner. 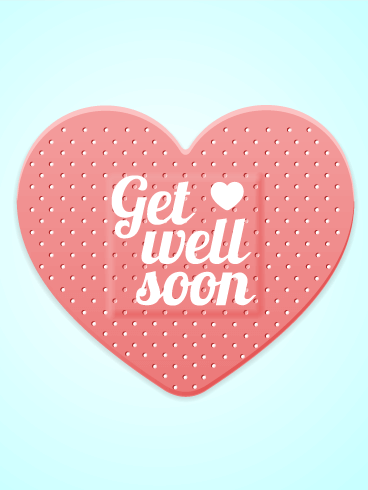 This Band-Aid heart is adorable for a get well card with a short and sweet message. It is recommended by doctors everywhere. Cross our hearts. Being sick is no fun for anyone! 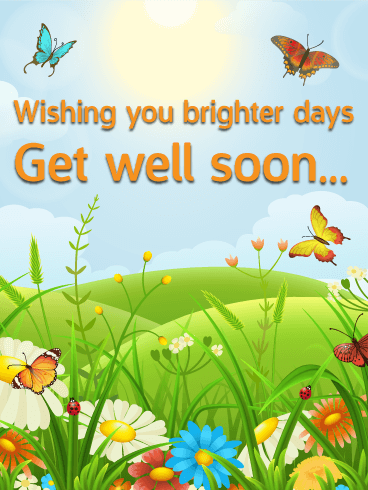 If you know someone who is feeling under the weather, send them this Get Well card to help them feel better! The bright colors, butterflies, and flowers will lift their spirits and the kind words will let them know you are thinking about them while they are sick. Send this card to brighten someone's day today! It is important to show someone how much you care. Sending a get well wishes card is one of the best ways to express your feelings. These cheerful butterflies and pretty flowers will always make someone feel better. 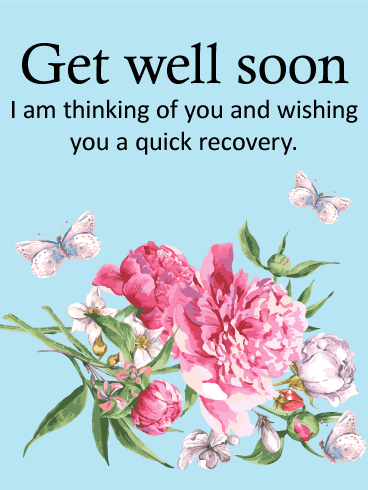 Send this card if you want to tell someone you care about to get well. 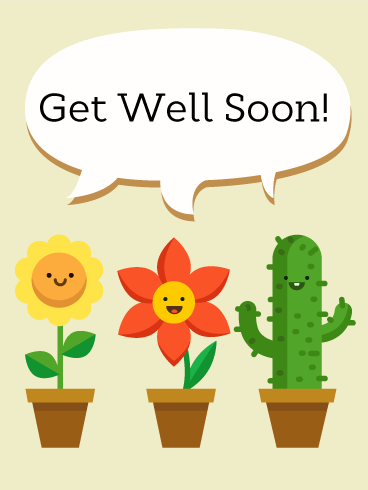 Let's make people happy with this cute smiling plants get well soon card. Get well soon cards help to make people feel better. Show your loved ones how much you care by sending this card. Flowers have healing power to lighten people's heart. 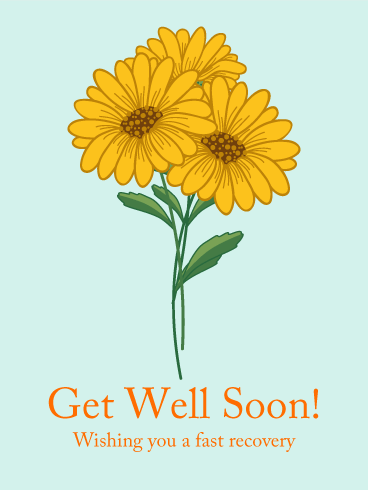 This get well soon card includes many daisies to make your loved ones smile. Make sure to add a message to make them feel happier. Sending a get well card will bring positive energy to people. A card tells others how much you care. 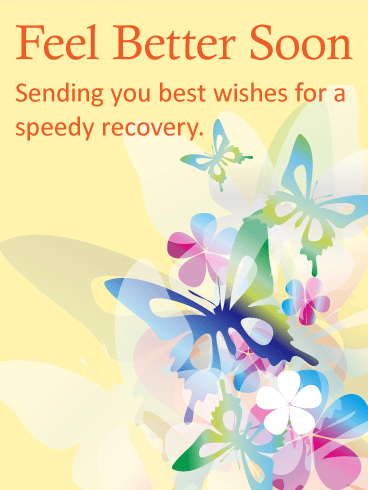 Let's wish your loved ones a fast recovery by sending a get well card with your warm and thoughtful message. 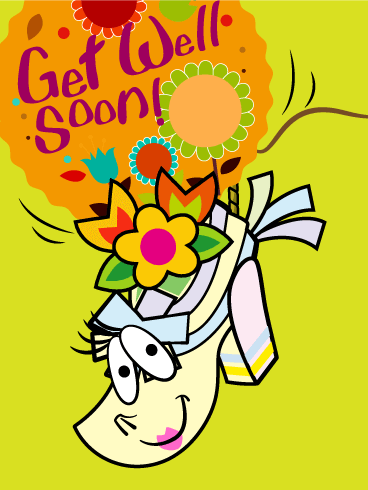 This cute Shoe Piñata get well soon card will definitely make people smile. The cheerful tone of this card will lighten people's heart. 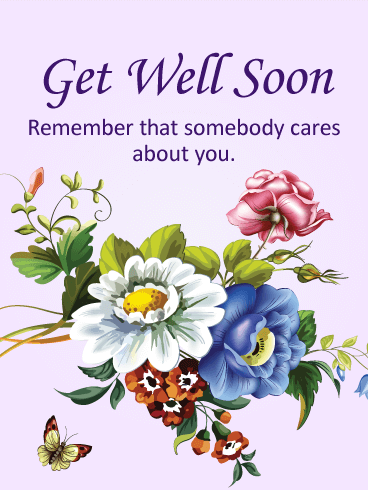 Show your loved ones how much you care by sending them this get well soon card. Look at this very happy face of a Mexican Hat Piñata. This card will definitely make people smile. Let's send this piñata get well card to brighten your loved ones day.